As you may know, email isn’t as private as you might think. 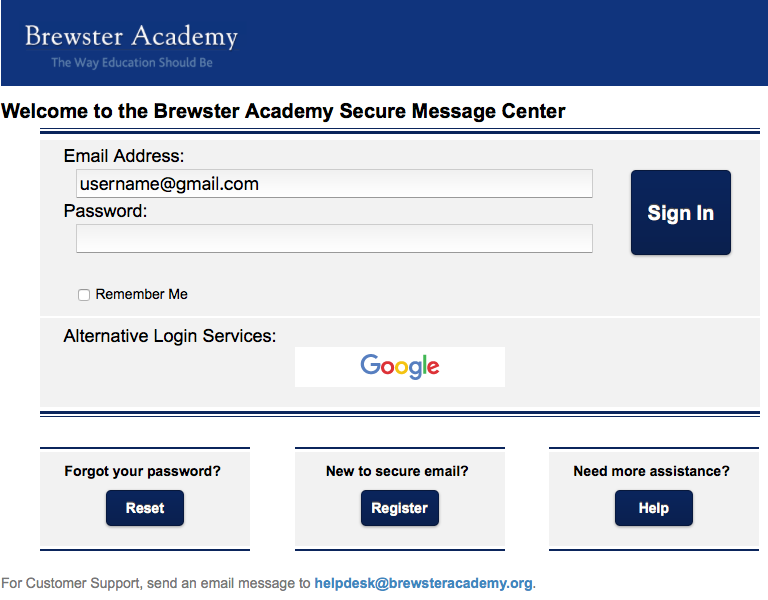 When you are sending email messages to other Brewster email addresses, your messages are protected and safe. But, when you send email messages outside of brewsteracademy.org, it’s rather easy for thieves to intercept and read your messages. Encryption is the process of encoding messages or information in such a way that only authorized parties can read it. Encryption does not of itself prevent interception, but denies the message content to the interceptor. When sending an email to another Brewster email address, whether there is sensitive data or not, Zix will not filter the message because these messages are secured by Google’s encryption. You enter the phrase baencrypted in either the email subject line and/or the email body. Your message includes sensitive health or financial data that the Zix service “flags” as confidential. If you know you are sending sensitive information and want to ensure that it is protected by encryption, just type the word baencrypted in either the subject line or body of your email. If the user is a Gmail user, they can simply click the Google button to see your message. If they are not Gmail users, they will have to click the “Register” button to create a password. Note, this account creation is a one-time action. If you send this outside-user encrypted messages again, they will not have to re-register. We are committed to protecting BA user information. If you have additional questions or feedback on this service, don’t hesitate to contact the Tech Office.